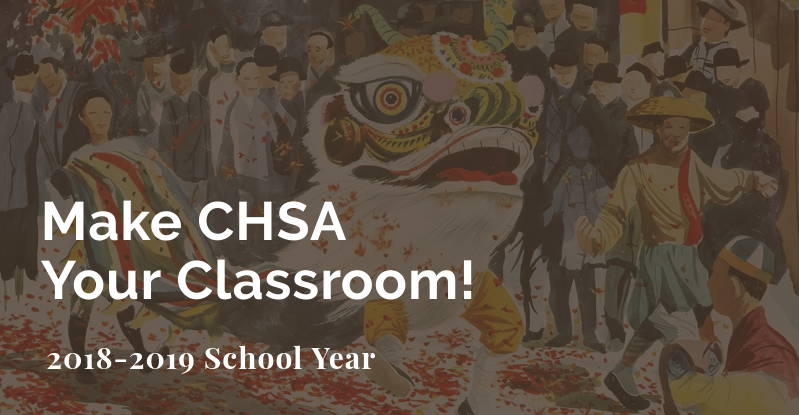 Thank you for your interest in visiting the Chinese Historical Society of America Museum. If you are a teacher, professor, or organizer with a group of 10 or more, you can visit the museum Tuesdays through Sundays, 9:30 a.m. to 4:00 p.m. 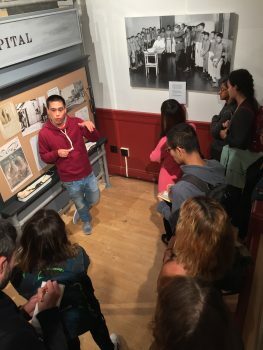 Please note that the museum is open to the general public Wednesdays through Sundays, 11:00 a.m. to 4:00 p.m.
We offer several educational experiences, including a docent tour of the permanent exhibit, Chinese American: Exclusion/Inclusion, Chinatown walking tour, and workshops related to identity, migration, power dynamics, and storytelling. To learn more about our programs, click here. To make a reservation, please fill out the entire form below. Remember to press the submit button at the bottom of the form. If you have any questions about your visit or have not heard back from us within a week, please call (415) 391-1188 x101.